These few words tell a whole story. The following stories might not be lengthy novels, but trust me, these sure are emotional. And most importantly, these are also quite true. 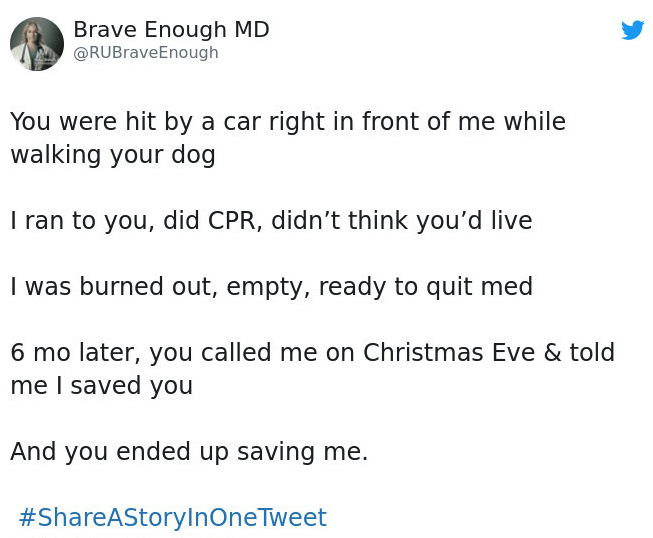 You might already know the hashtag #ShareAStoryInOneTweet and how it has been trending over on Twitter. 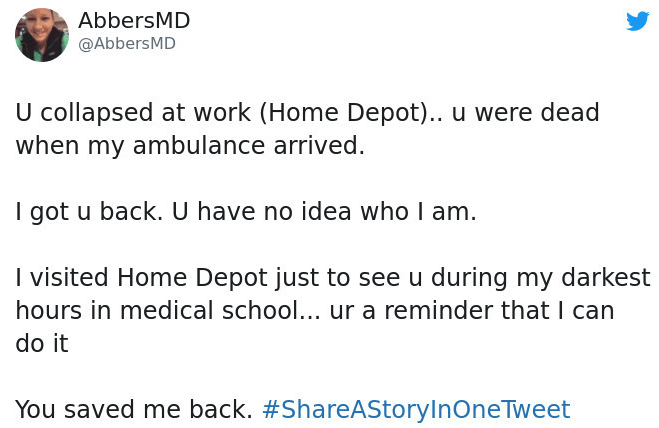 While doctors might get a bad name sometimes, they are essentially heroes without capes. Because they work day and night to save our lives. So it is understandable that they’d have some stories to share. And it is no surprise that the hashtag has been trending for good reason. These will surely bring a tear to your eyes and some of these might even restore hope in humanity. I won’t bore you with my babble any longer so scroll on below and take a look. #1 Child on her back. #3 Young gay blind man. #8 Anaphylaxis for the first time. #12 Working at home depot. #14 Never in the hospital alone. 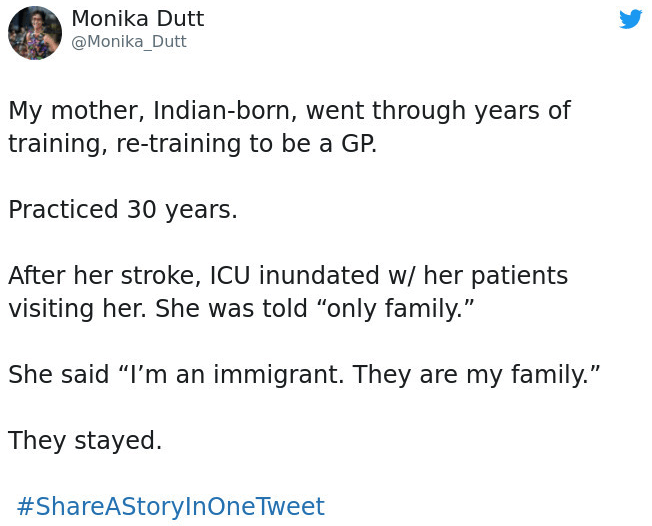 #15 Patients are the family. So did these make you cry non-stop? Because that sure does sound like me right about now. At the end of the day, Doctors and Nurses deserve a lot more recognition than they get. Have any more stories to share? If so, why not comment down below and let us know? 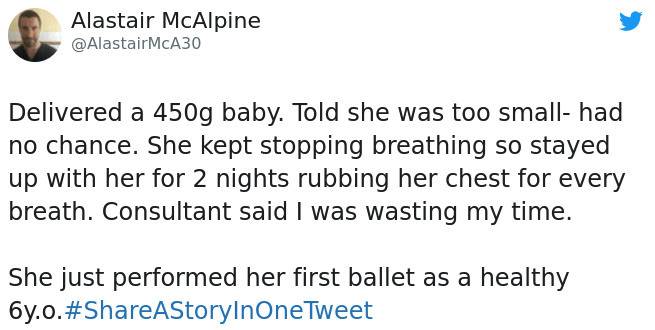 And if you liked these stories, why not visit Twitter and real stories just like this?